Enter the report form name. Edit report filter condition. See the filter manager section for more details. 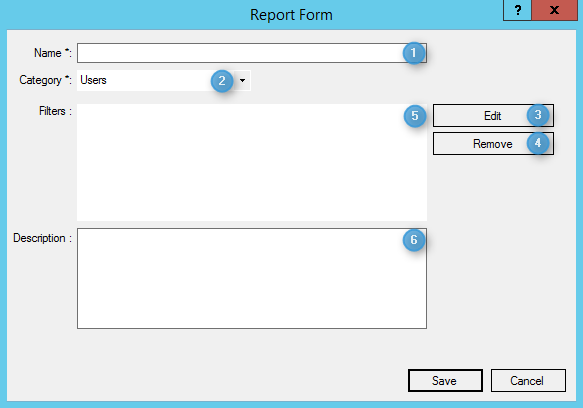 Remove selected report filter condition.